Select “Trade” from the main menu and click on the “Make deal” option. In the “Market watch” window double-click on the financial instrument you want to trade or right-click and select “Make deal” option. Double-click on the “Chart” of the particular instrument or right-click and select the “Make deal” option. In the opened “Make deal” pop-up window you need to set the position parameters. 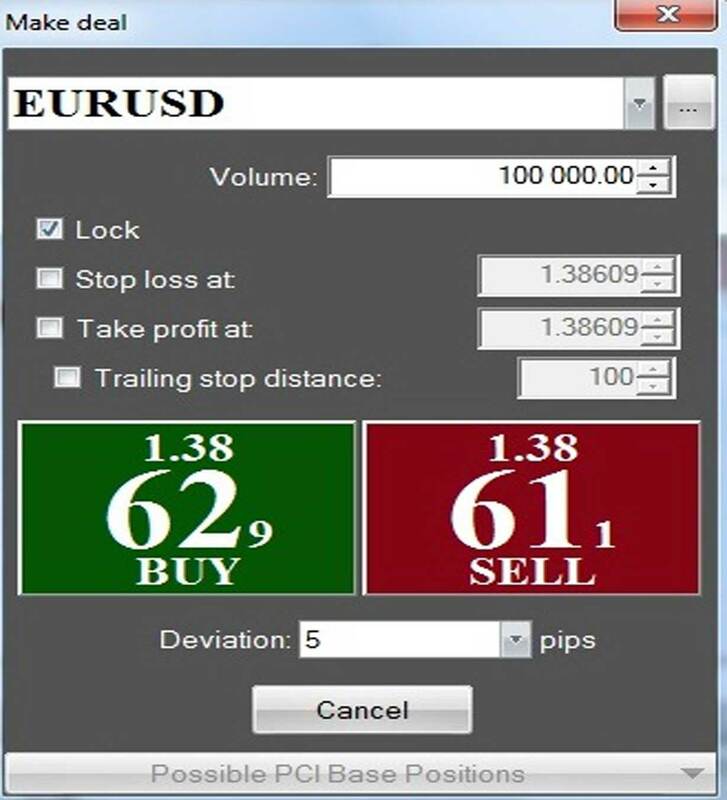 Deviation in trading pips. In case of high volatility the market price may be requoted and your deal will not be opened at the desired price. That is why it is recommended to use the Deviation to avoid requotes.